Welcome to The Canvas at Millrise! Fabulous 2 bedroom & 2 bath floorplan. The Kitchen is stunning with sleek dark granite, undermount sinks and SS appliances.2 full baths complete the package! The clubhouse features a GYM, SAUNA, CHANGE ROOMS WITH LOCKERS AND A MOVIE THEATRE ROOM. PETS ARE ALLOWED WITH APPROVAL to owner occupied units. This complex in Millrise close to all amenities. 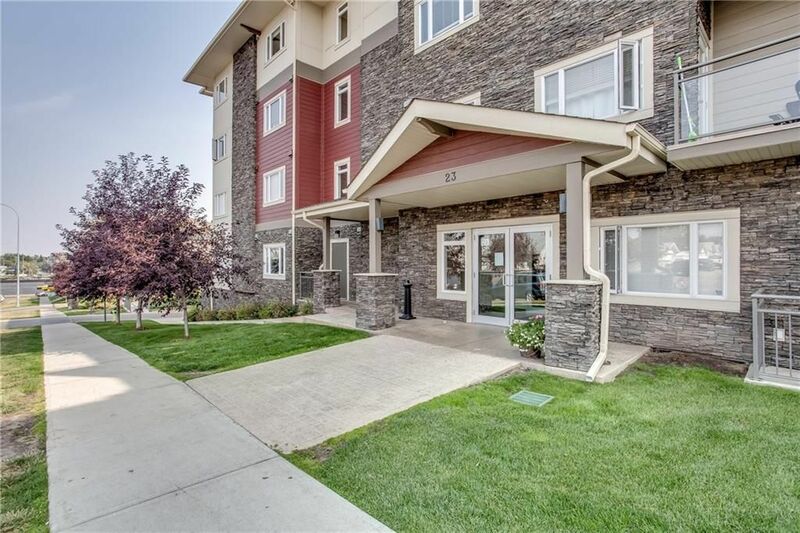 Walk to shops and numerous other amenities less than 100m away from the conveniently placed side door and then walk to C-train, just approx 0.5km away. Condo fees include Heat, Electricity, Water and one Heated Titled Underground parking stall and a Storage Locker and fire insurance. Stop renting, you can have all this and pay for your place instead of Landlord’s pocket.